Rebuild of a WordPress website with membership product. 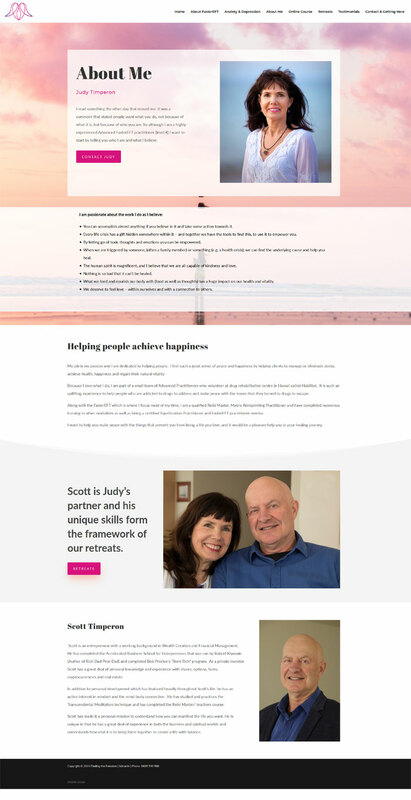 Judy Timperon, owner of Finding Freedom approached Website Adelaide to upgrade her website. Her initial website was very basic and contained limited information about what she did and was not getting ranked in Google. With her business expanding she wanted to offer some new products and services along with some paid membership products. Website Adelaide redesigned the website to have a fresh, modern and inspirational look whilst enabling membership transactions. 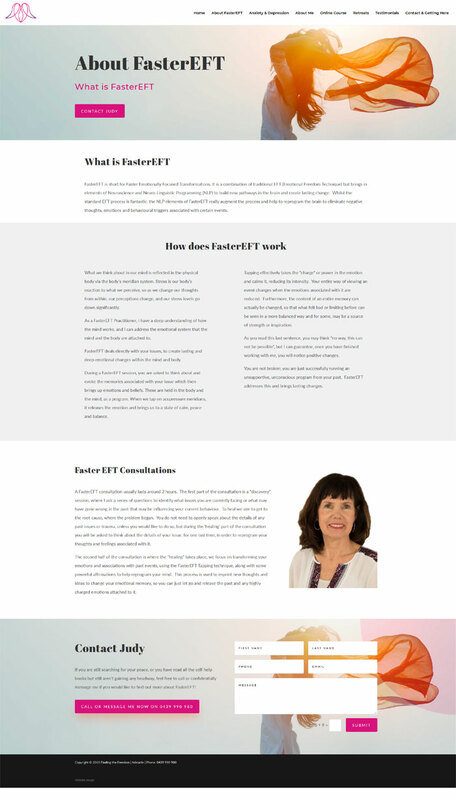 We worked with Colette Chorley Creative Content and Marketing to clearly position the brand and its benefits whilst creating multiple pages filled with keywords to help with online visibility. We structured the website to have multiple pages to gain leverage in Google searches and plenty of ‘call to action’ buttons to encourage people to call and find out more.